Smart insoles for runners make much more sense than smart running shoes. For starters, you don't have to ditch those shoes and their connected smarts after you've clocked up too much mileage in them. And one running shoe, like any shoe, doesn't work for everyone. If you're not comfortable wearing them out on your Sunday run, that's a big problem. NWTNLabs, based out of Berlin, Germany, is following in the footsteps of the startups that brought us Stridalyzer and more recently Arion, by packing insoles with sensors that can detect issues in running technique and address those issues in real-time during your run. The aim is to improve form and reduce the chances of an injury. The Runvi smart insoles, which have just hit Kickstarter (for the early bird price of $99), each house two accelerometer motion sensors and 30 advanced pressure sensors to track movement and measure pressure as well as weight. 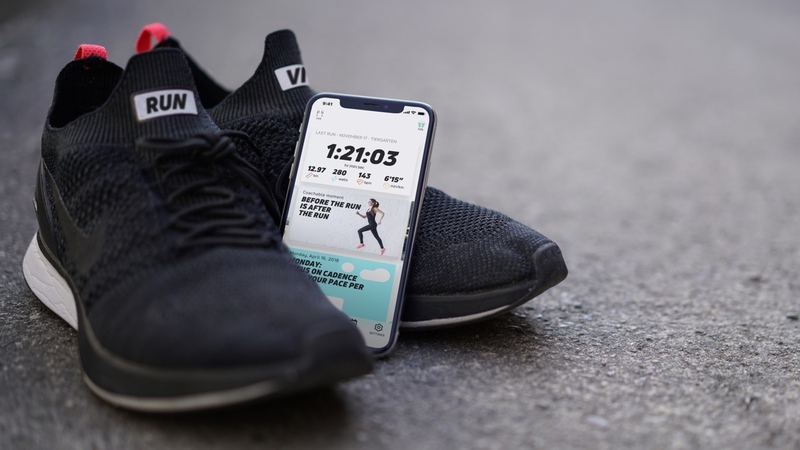 Using those embedded sensors and Runvi's AI tech the insole is then able to measure and analyse data during runs, offering voice and audio coaching to headphones paired to your phone and the companion app. There's no built-in GPS, so you'll need to piggyback off your phone's in order to track routes, but it will be compatible with the Apple Watch if you don't want to look at your phone mid-run to check in on performance. It'll also offer Apple HealthKit integration to help share data and the companion app will offer coaching videos to work on your weaknesses. Daniel von Waldthausen is one of the co-founders of NWTNLabs, and leaned on his own personal experience to devise this smart insole for runners. "I was doing a lot of sports when I was younger," Waldthausen tells us. "I was a professional rower and ran a lot. I also ran in the army a whole lot too. After the army, the doctors told me you are not allowed to run because you have destroyed your knees." After studying industrial design and working in the consumer electronics space with the likes of LG and HP, Waldthausen was intent on bringing something valuable to people. After a meeting with a friend who showed him the flexible pressure and weight sensing technology that now form the foundations of the Runvi, coupled with his destroyed runner status, he along with his team came up with the smart insole idea. Runvi is currently being put through its testing paces with researchers from the German Sport University Cologne, and it's also getting the test laboratory treatment in a facility in the south of Germany. "When you have the insoles, you'll need to download the app and you'll need to do a base run to calibrate the insoles to you," Waldthausen explains. Then you can see your current running status. "We can measure pressure on the entire real estate of the foot. So if you are running wrong, we can tell you on the run for example your heel striking means the first contact is with the heel. So with heel striking, make sure you bring your steps more into middle of your foot. "We can measure mass and power, which is a metric known from cycling and professional sports. For running technique, there are different things like heel strike, pronation and we can give feedback on the run. After we collect all the data we plan to build training plans based on this data. If your goal is to run a marathon then we can prepare you based on this data. Our idea is to build a digital version of a professional running coach." NWTNLabs already has a working prototype and app and it wants to provide the finished product in October. It's also exploring how it can import the data it records into third-party running apps. As we've seen with other running wearables though, that's easier said than done when apps like Strava don't yet have the fields to display these advanced metrics. It's also working on further collaborations with both hardware and software manufacturers. "We are working with other companies like Bragi for a direct connection to their earbuds," Waldthausen said. "The idea is to make it open for everyone." Runvi hopes that the Kickstarter campaign will give them that extra financial push to meet the autumn 2018 shipping date. While running is the start, Waldthausen believes there's scope for the tech to be used for other sports like cycling and football. Right now though, it's all about reducing the numbers of destroyed runners. Just in case anyone would like to write a follow-up story on this project's progress and the product - have a look at the Kickstarter's page and I highly recommend the comments section.